Urbanization is at the core of the global economy today. Yet, the crucial aspect of 21st century urban development is suburbanization - defined as an increase in non-central city population and economic activity, as well as urban spatial expansion. It includes all manner of peripheral growth: from the wealthy gated communities of Southern California, to the high rise-dominated suburbs of Europe and Canada, the exploding outskirts of Indian and Chinese cities, and the slums and squatter settlements in Africa and Latin America. Suburbanism is the growing prevalence of qualitatively distinct 'suburban ways of life'. This Major Collaborative Research Initiative is the first major research project to systematically take stock of worldwide developments. We analyze recent forms of urbanization and emerging forms of (sub)urbanism as well as the dilemmas of aging suburbanity. We broadly focus on the governance of suburbanization, that is, efforts to guide and regulate its development. It involves state, market and civil society actors and implies democratic deliberation and social conflict. The categories land, which includes housing, shelter systems, real estate, greenbelts, megaprojects, and infrastructure, including transportation, water and social services, serve as the two prime anchors upon which we hinge specific research projects. Examination of Canadian suburbanization and suburbanism will serve as a basis and comparative "control" case to understand suburbanization in the Americas, Europe, Africa and Asia. The objectives are threefold: (1) To document and evaluate the diversity of global suburbanisms in their various contexts; (2) To explore the mutual and co-constructive elements of environmental or financial crisis with the production and governance of global suburban space; (3) To use our wide-ranging empirical data and analysis to intervene in urban theory. Drawing on methodological and analytical approaches from political economy, urban political ecology, and social and cultural geography our international team contributes to better grasping the complex processes of suburbanization as they pose challenges to policymakers, planners, and academics alike. For each approach, we have developed concrete foundational, thematic and geographical projects and case studies. Some cut across all geographical areas; others will be specific to particular geographies. They are cross-referential. Housed at the City Institute at York University (CITY), the MCRI benefits from co-investigators, collaborators and partners across Canada and the world. The academic researchers have worked with partners in government, the private sector and civil society to develop a research agenda. The MCRI provides significant teaching, mentoring and training for students. It will lead to benefits for urban policy and city planning as well as for suburban neighborhood improvement in governance, economic, technical, environmental and social terms. The results will be disseminated through: a series of workshops and conferences in Canada and abroad; articles and monographs with international scientific journals and presses; popular and professional articles and a website; a suburban working group of planners and policy makers; graduate summer schools and undergraduate field courses; a migrating exhibition; and a series of documentaries produced in collaboration with the National Film Board of Canada (NFB). For media stories, please see the following Media Release, Y-File story, Novae Res Urbis article and Y-File story. Fulong Wu (University College London), Jill Grant (Dalhousie University), Robin Bloch (GHK Consulting), Richard Harris, (McMaster University), Zhigang Li (Sun Yat-sen University), Jochen Monstadt (Technische Universitat Darmstadt), Jamie Peck (University of British Columbia), Elvin Wyly (University of British Columbia), Pierre Hamel (University of Montreal), Nick Phelps (University College London), Rob Shields (University of Alberta), Jan Nijman (University of Amsterdam), Solomon Benjamin (Manipal University), Pierre Filion (University of Waterloo), Alan Mabin (University of Witwatersrand), Sonia Hirt (Virginia Polytechnic Institute and State University), Paul Knox (Virginia Polytechnic Institute and State University), Lisa Drummond (York University), Shubhra Gururani (York University), Ute Lehrer (York University), and Douglas Young (York University). Lucy Lynch is the Project Coordinator for the MCRI “Global Suburbanisms” project. She completed her Master’s in Environmental Studies at York University in 2016 where she focused on the Greater Golden Horseshoe Greenbelt, leapfrog development, and urbanization pressures facing Lake Simcoe. Lucy’s interests include urban development, growth policies, infrastructure and governance. Environmental Studies program in urban planning at York University. Her research focuses on the design, regulation, and politics of public space. She is a co-editor of the March/ April 2017 issue of the Ontario Planning Journal entitled, "The Future of Planning." K. Murat Guney is a postdoctoral researcher at the City Institute at York University providing research and editorial support to prepare the edited publication Massive Suburbanization: (Re)Building the Global Periphery One Large Scale Housing Project at a Time for the MCRI Global Suburbanisms book series with University of Toronto Press. His research interests include urban anthropology, anthropology of development, and political economy with a particular focus on the suburbs in the Global South. He conducted his dissertation research on the negative side effects of the rapid yet uneven economic development in Turkey through an ethnographic study on the chronic work accidents in Istanbul’s industrial suburb Tuzla. In addition to being the co-editor of Massive Suburbanization: (Re)Building the Global Periphery One Large Scale Housing Project at a Time, he is currently preparing for a new comparative research project on massive suburbanization in Istanbul and Toronto. Guney is also the editor of the books Baska Dunyalar Mumkun (Other Worlds are Possible – Varlik, 2007) and Turkiye’de Iktidar’i Yeniden Dusunmek (Rethinking Power in Turkey, Varlik, 2009) and the political and cultural criticism journal, Davetsiz Misafir (the Uninvited Guest) http://www.davetsizmisafir.org. 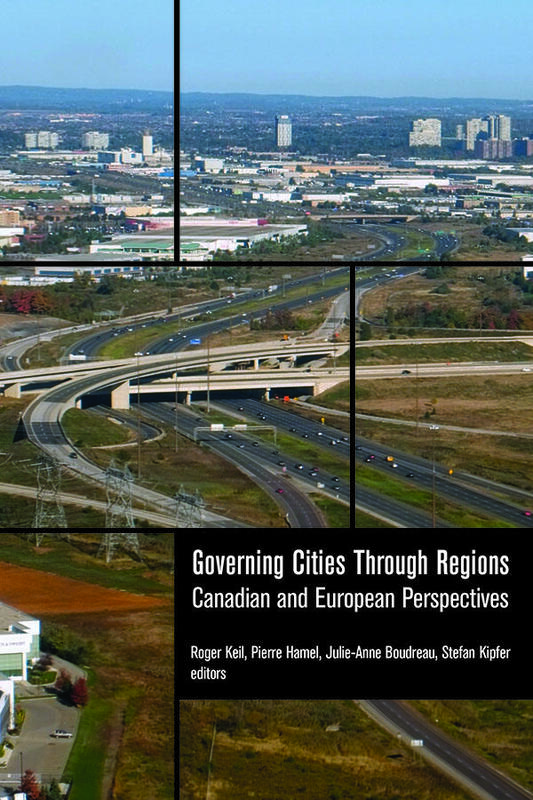 Academy for Spatial Research and Planning (ARL), Building Industry and Land Development Association, Canadian Urban Institute, Canadian Architect Magazine, Center for Urban and Regional Studies, Shanghai Academy of Social Sciences, Centre for the Study of Developing Societies (CSDS), City of Markham (Economic Development), City of Toronto (Office of Mayor), Friends of the Greenbelt Foundation, DIALOG, Healthbridge, Helmholtz Centre for Environmental Research, National Film Board of Canada, Societe de Transport de Montreal, The Neptis Foundation, Toronto Community Housing, United Way of York Region, Urban Strategies Incorporated, The Ontario Growth Secretariat (Ministry of Energy and Infrastructure, Government of Ontario). This project has been made possible through a financial contribution from Social Sciences and Humanities Research Council of Canada, and the associated universities and partners. The views expressed do not necessarily represent the views of those involved.